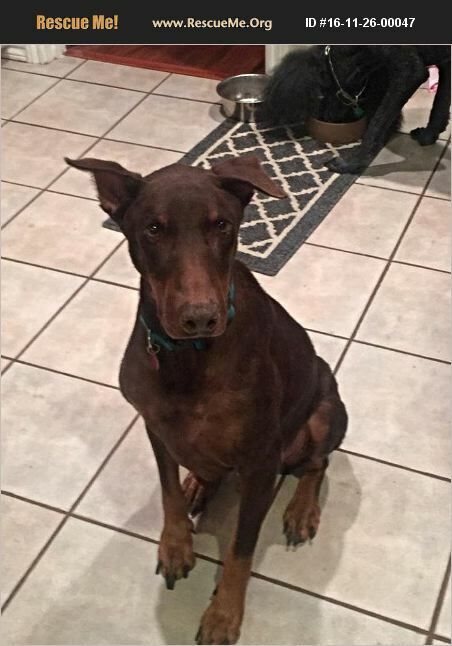 Texas Doberman Pinscher Rescue View other Doberman Pinschers for adoption. Conner is the sweetest, most gentle and kind boy. He has had a hard life but he loves humans and other dogs so very much and ignores cats. He was a very sick boy when we rescued him but he is so much better now. Unfortunately, he will have some significant long term damage to his lungs from late stage heartworm disease he had when we rescued him. Conner is apprx 7-8 yrs old and a dream dog. He is potty trained, and super chill. He is a true joy to have around. Can you offer him a great life?